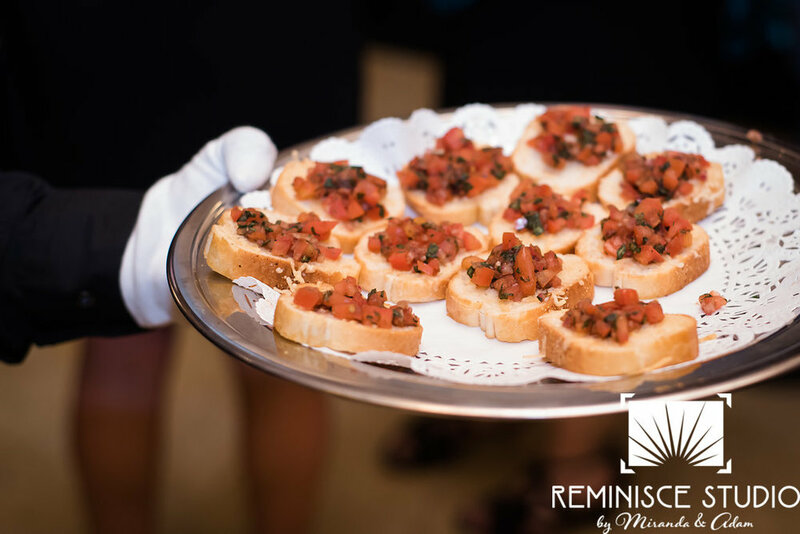 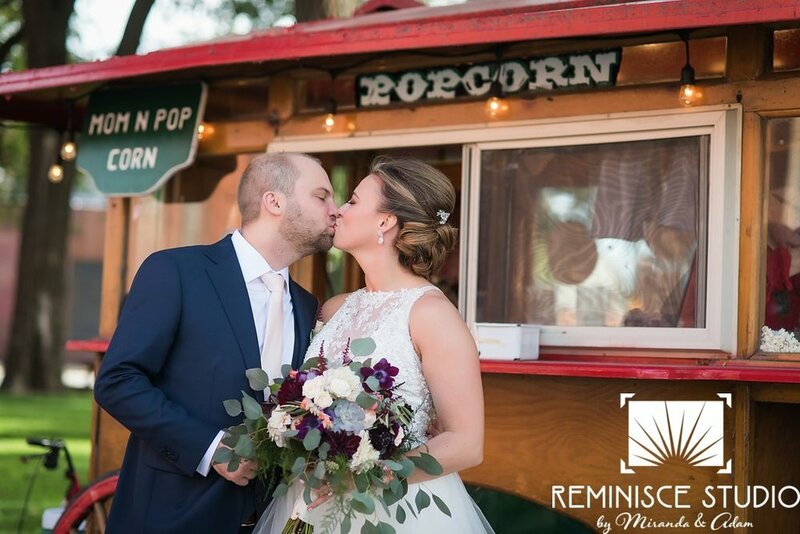 When Megan and Mark saw The Black Swan MKE for the first time (the first venue they looked at), they fell in love with it and knew they had to have their wedding there. 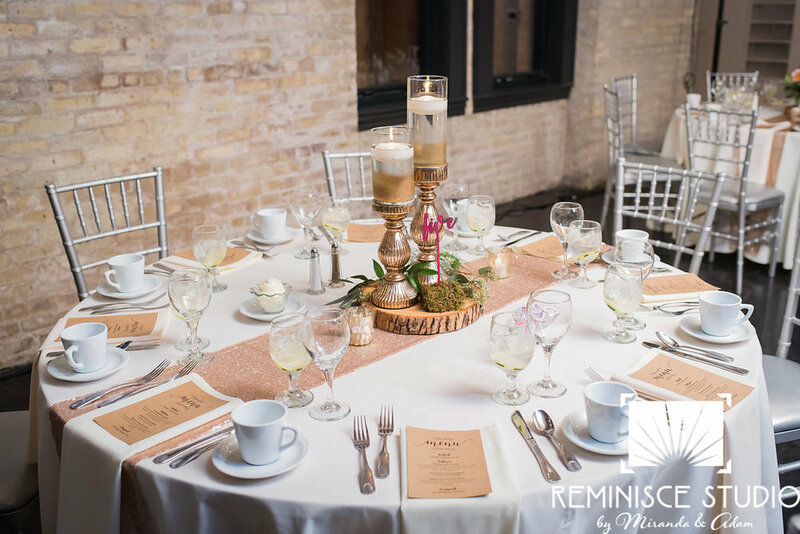 They adored the rustic chic look with the steel doors on the wall, the cream city brick, wood columns and chandeliers. 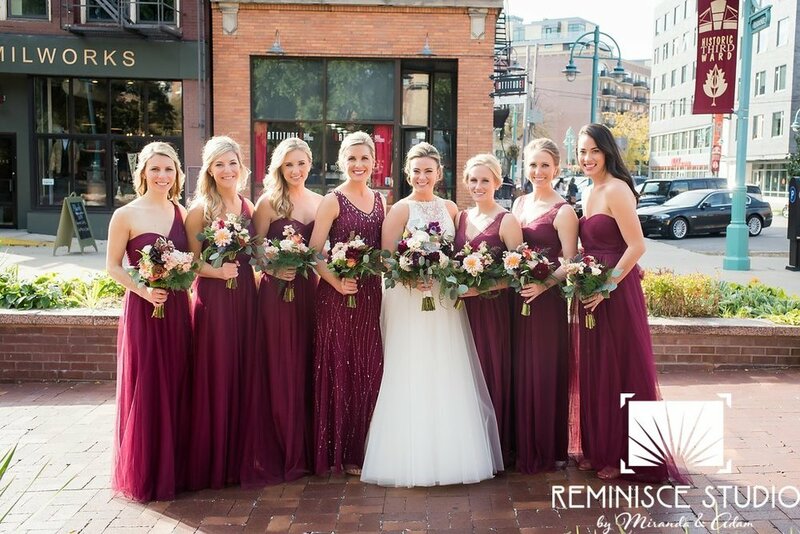 With lots of greens, rustic touches, rose gold, burgundy and navy blue decor, their vision was realized - complete with gorgeous flowers! 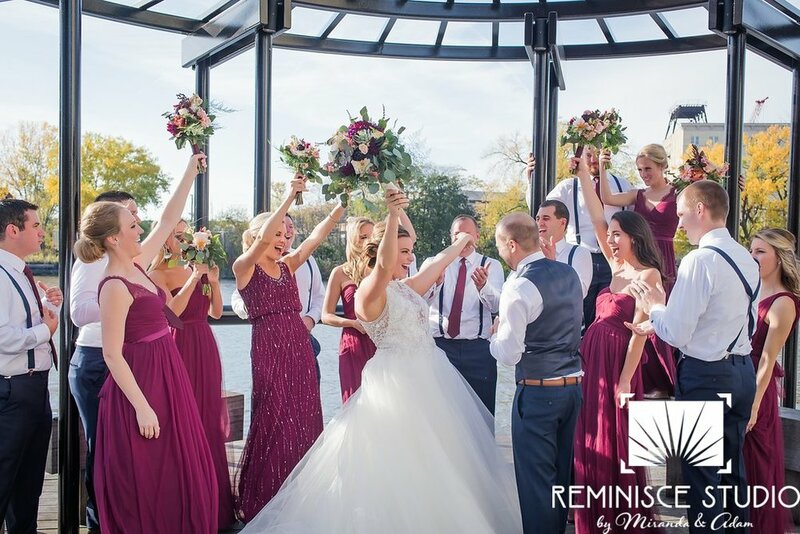 They love spending time in the sun together, so it worked out perfectly that they had a lovely sun-filled 80° day for their October 20th wedding! 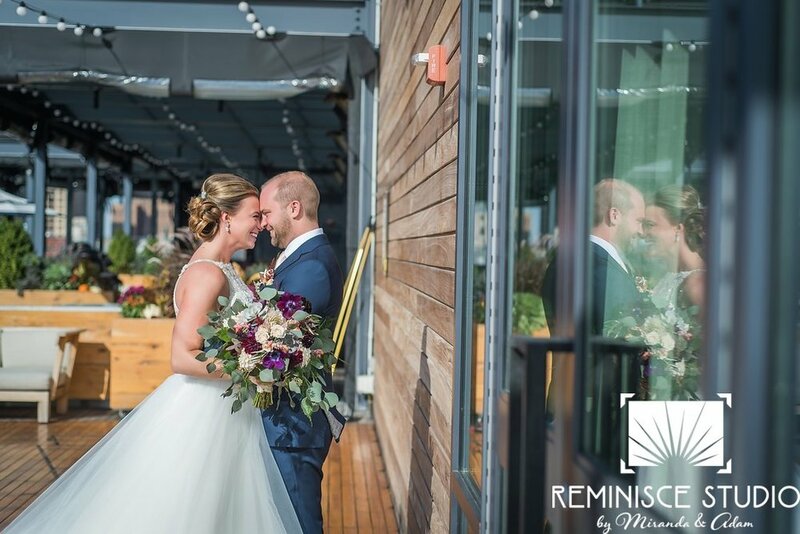 Sharing their romantic First Look at The Journeyman Hotel, they then made their way around Milwaukee's historic Third Ward for portraits before arriving to The Black Swan MKE to share their vows with each other in front of their closest family and friends. 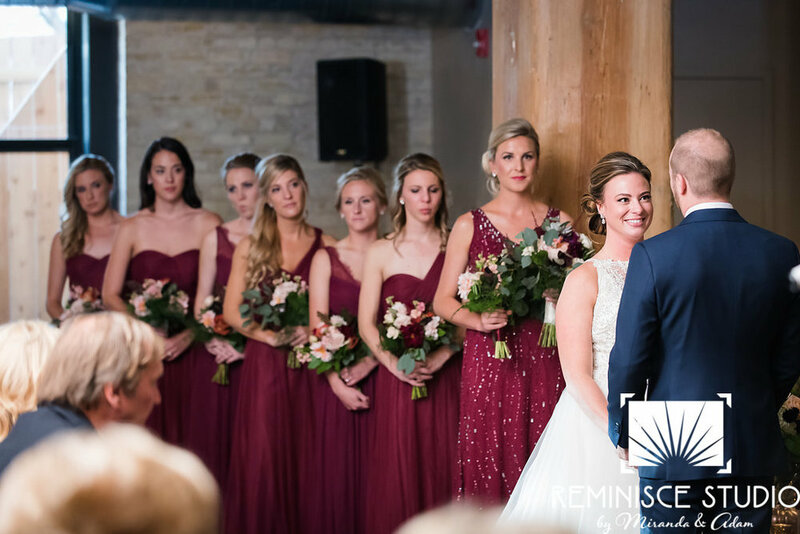 The rest of the evening was full of celebration and fun with a packed dance floor!